Continuing our coverage of the ballot measures before voters this November, we finish with a look at Initiative Referendum 124. It puts the 2011 Legislature’s medical marijuana reform up to a vote of the people. It does not mean the state medical marijuana industry would go back to the way it was if the measure is voted down. I’ll write this a couple times throughout this story to try to clear up any confusion; a vote for IR 124 keeps the medical marijuana reform bill passed by the 2011 legislature in place, a vote against IR 124 repeals that reform. It was one of the most intensely debated issues of the last legislative session. “What we’ve seen over the last year is not what those of us who wrote the law and promoted it ever imagined or envisioned,” said former lobbyist Tom Daubert speaking before a legislative committee during the session. He was the face behind the 2004 legalization effort of medical marijuana. That law passed with more than a 60 percent majority. It was vaguely written, though and by the time the 2011 Legislature convened, 20 thousand Montanans held the so-called green cards allowing marijuana use. Clinics were being held, registering hundreds of patients at a time. Marijuana storefronts were operating in towns and cities across the state, employing an estimated 14-hundred people. Republican Speaker Milburn’s full repeal of the medical marijuana law passed Republican majorities in both the House and Senate. It was then vetoed by Democratic Governor Brian Schweitzer. There was still wide consensus across the political spectrum that some changes to Medical Marijuana regulations needed to be made. A reform bill introduced by Billings Republican State Senator Jeff Essman passed both the legislature and the Governor’s office. “This new law has made it virtually impossible for me to safely and legally access my own medication,” said Helena resident Sarah Combs, who is still a registered marijuana patient through SB 423. “They took away the votes of the Montana voters in 2004,” she said. The marijuana community was quick to gather enough signatures to put SB 423 on the November ballot as IR 124. Remember, a vote for it keeps the reform, a vote against it repeals it. This new law puts an end to the marijuana industry. It significantly restricts who qualifies for marijuana and how they can access it. As a result, cardholders fell from a high of 30 thousand in May of 2011 to about 8 thousand. Republican House Speaker Mike Milburn says that number is still very high. “Those people, they’re not medical marijuana users, they’re recreational marijuana users and the state has to get that under control,” Milburn said. Sarah Combs flatly disagrees. She says she absolutely is a medical marijuana user, and she calls the reform absurd. “A patient can’t legally get seeds, they can’t legally get clones. How are they supposed to start legally growing for themselves,” she said. In the Spring of 2011, as lawmakers were debating the various reform bills, the U.S. Drug Enforcement Administration raided Marijuana facilities around the state, destroying inventory and arresting growers. All of it was an apparent reversal from a 2009 Obama Administration memo labeling medical marijuana a low priority for federal agents. Those raids actually start to make IR 124 a bit more complicated. Bob Brigham is a spokesperson for patients for reform—a state marijuana advocacy group. He says I’m not quite right to say that a vote for IR 124 keeps the Legislature’s reform in place, a vote against it reverts the state back to the old medical marijuana law. He says IR 124 is unique in that usually with ballot measures, the status quo is one of the options. “Neither of the choices are to continue as things are today,” he said. Let’s start with a yes vote. It does affirm SB 423, the legislature’s reform. But that law has actually yet to be fully implemented. “There’s still currently an injunction against that law taking effect,” he said. That injunction is a result of a lawsuit by the Montana Cannabis Industry Association. It blocks the part of SB 423 saying providers cannot make money from their product. So patients are still buying from some caregivers right now. The State Supreme Court has already ruled to lift that injunction, but it still hasn’t quite happened yet because of formalities in the appeals process. When the injunction is lifted, the state would then see SB 423 as it was originally intended for the first time. Brigham points out that the medical marijuana shops across the state didn’t necessarily shut their doors because of SB 423. Remember, that injunction still allows them to operate, for the time being. The shops have closed down because of the federal raids and storefront owners’ fear the same thing would happen to them. Also, this summer the Montana Supreme Court came out with several rulings restricting marijuana use outside of the Legislature’s reform bill. “Nobody can claim that if people vote no on IR 124, that we’re gonna go back to the Wild West,” Brigham said, adding those days are gone forever. Let’s sum up and try to put this the best way. A vote for IR 124 keeps the legislature’s reform bill in place as it will be after the injunction is lifted and businesses really do need to shut down. A vote against IR 124 puts Montana on another new path, the old marijuana law post federal raids and post new restrictions put in place by the State Supreme Court. We continue our look into each of the five ballot measures appearing on this November ballot, looking into Legislative Referendum 121, an act denying certain state services to undocumented immigrants. State lawmakers make the call to put legislative referenda on the ballot with a simple majority. Partly, it’s a strategy to bypass a veto from the governor’s office, putting a bill up to a vote of the people instead. But Republican Speaker of the State House of Representatives Mike Milburn says it’s a risky strategy that should be used sparingly. Milburn says the legislature has an entire staff dedicated to making sure everybody has the best information possible. He says issues are then debated thoroughly through a very redundant system. Milburn believes the problem with the ballot measure process is that kind of debate doesn’t happen. “So most people go into the election process not knowing much about the Initiatives or Referendums or whatever it might be that are put up,” he said. Milburn says Republican lawmakers were careful in which measures they decided to put on the ballot. He calls them comparatively simple, easy to understand, and largely values-based. The measure requires anyone seeking these services prove their citizenship. Those who can’t must submit to a federal database search. “If you’re not paying your taxes, if you’re not a resident of our country, of our state, then you shouldn’t have access to the benefits we all pay into,” Milburn said. These are services like unemployment insurance or workers compensation. LR 121 would not allow illegal aliens to work for state government or receive a permit to practice a trade or profession. It also denies services for the physically disabled or those who are victims of crimes. Helena immigration attorney Shahid Haque-Hausrath believes that’s just wrong. “I think the average Montanan would say all victims of crime, regardless of immigration status should be able to access certain services to be able to seek redress for the crime they’ve been a victim of,” he said. And while LR-121 provides greater enforcement for much that is already illegal, Haque-Hausrath points out it also makes some services illegal to undocumented immigrants for the first time. Like the right to attend a public university. “If you’re gonna pay your own way and you’re not gonna be getting any college tuition, I don’t se e why we should be limiting access to public education to anyone,” Haque-Hausrath said. Proponents of LR 121 tout the measure as a way to quickly and equitably screen for citizenship, much in the same way we do when applying for a state driver’s license. Haque-Hausrath and other opponents say the state would be charged for using the federal database to check citizenship when it’s not presented. He says it would cost Montana taxpayers between 50 cents and two dollars for every search. “The state of Montana would be paying the federal government to do its own job, which is enforce immigration laws,” Haque-Hausrath said. Haque-Hausrath calls the measure an unwanted federal intrusion, a sweeping change from the way the state provides services now, to combat a problem he says isn’t even known to exist. Speaker Milburn pretty much agrees with that last part, saying “we don’t have a big problem with that in Montana.” But again, he says it’s the principle of the matter. He says LR-121 is Montana’s effort to follow controversial immigration legislation in other states like Arizona and Alabama. “It’s kind of the theory that there’s strength with the more states that jump on board with something like this,” Milburn said. Former Montana Cannabis owner Chris Williams now awaits sentencing. A jury convicted the medical marijuana provider on eight drug-trafficking and firearms charges. Williams says he is appealing the charges. Of the eight guilty verdicts, four of those facing Chris Williams are felony charges involving cultivation and distribution of marijuana. Williams’ case is the only one to go to trial in the wake of federal government raids on 26 medical marijuana providers in the spring of 2011. Most of those indicted ended up taking plea deals. This includes the three other men who owned Montana Cannabis with Williams. These plea deals were taken because defendants didn’t believe they could win their cases by saying they were following state law. Williams did decide to try that defense. But U.S. District Judge Dana Christensen did not even allow it to be admitted. Regardless of state law, marijuana is still illegal federally. “You know, there was an assumption by these growing operations that they could somehow circumvent the law and get away with it and it just didn’t happen, it’s not happening,” said Republican Speaker of the Montana House of Representatives Mike Milburn. 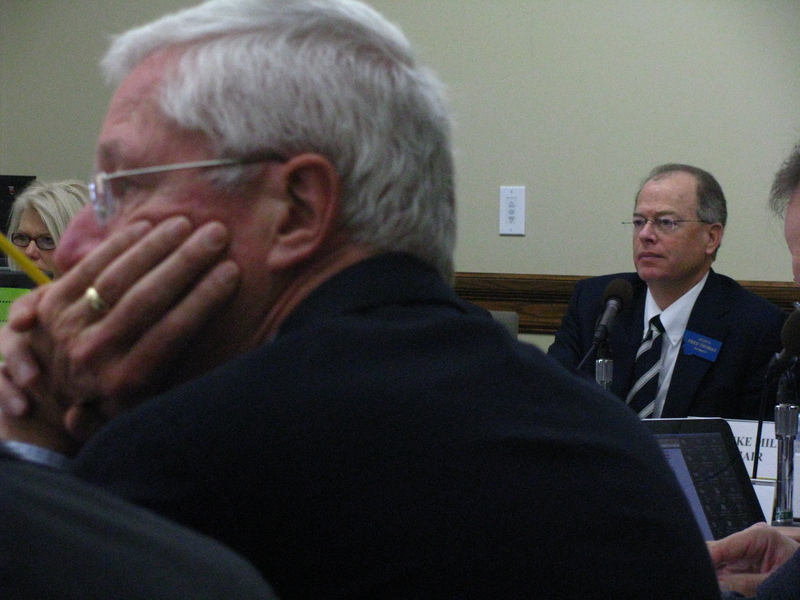 Milburn has been an advocate of full repeal of Montana’s medical marijuana provisions. He says the Williams case proves how courts view Montana law stacked up to Federal law. The 2011 Legislature passed new medical marijuana provisions which significantly restricted those passed by voters in 2004. The 2011 bill ended the marijuana industry that had sprung up to serve patients and curtailed how people can qualify for or access the drug.The number of registered cardholders has plummeted since then. Milburn thinks that’s a positive trend, but with the current state of federal law, he still wants full repeal. “We shouldn’t even be dealing with this, there’s a law in place right now and it’s illegal to grow or use or manufacture or distribute marijuana,” Milburn said. Helena-area resident Bob Brigham is a spokesman for Montana First, a medical marijuana advocacy organization. He says Williams made a courageous decision in taking the case to trial. He faults Judge Christensen for not admitting Williams’ defense, calling the whole situation entrapment. He thinks the verdicts are a waste. “It’s a giant waste of everybody’s time and money to be trying to lock somebody up for growing some marijuana for sick patients. It’s ridiculous,” Brigham said. And Williams may get locked up for decades. The case doesn’t bode well for the two people left who have not made plea deals with the government following the federal investigation–Lisa Flemming and former University of Montana Quarterback, Jason Washington. Montana First spokesman Bob Brigham does not believe the Williams case hurts the overall medical marijuana effort. “People are realizing that there’s not going to be a judicial decision that is going to save the day,” Brigham said. He says it’s going to require a political decision, even if it needs to go all the way up to the federal level. The medical marijuana reform passed by lawmakers has been placed on the ballot this November as IR-124. A vote for it upholds the legislature’s reform. Voting against it reverts the state back to the original medical marijuana law passed in ’04. Chris William’s sentencing has been set for January 4th. He says he is appealing his case to the 9th US Circuit Court of Appeals. The number of registered medical marijuana cardholders in Montana has increased for the first time since state lawmakers passed legislation reforming the legal use of the substance last year. Legal enrolled patients rose to 8,844 in July. But Quality Assurance Division Deputy Administrator in the State Department of Public Health and Human Services Roy Kemp says it’s only a modest uptick of 163 patients from June. “The numbers of new patients coming on has been concealed by the avalanche of people leaving. There have been new patients that have come on every month of the last year as well as people who have renewed. otherwise we would not be at 8,000-plus individuals,” Kemp said. The number of registered cardholders reached its peak in May of last year—coming in at more than 30-thousand people enrolled before reform went into effect. Speaker of the House, Cascade Republican Representative Mike Milburn originally wanted full repeal of Montana’s medical marijuana law, although he did eventually vote for the reform bill now in place. Milburn thinks the current figure of over 8-thousand cardholders is still too high. “These aren’t medical marijuana users. These are recreational users. Very very few people in Montana had expressed a desire or a need or expressed results from Marijuana medically,” Milburn said. Voters will decide whether they want to keep the reform bill passed by the legislature this November. Medical marijuana advocate Bob Brigham acts as spokesman for a group working to overturn the reform. Brigham believes most of the more than 20-thousand people no longer on the registry have now turned to the black market. “For the vast majority of people, you won’t be able to legally get marijuana. There’s no way to buy a plant, there’s no way to buy seeds to grow your own. You can’t buy marijuana anywhere. And so, the system’s completely crumbled and it has bottomed out,” Brigham said. The state’s medical marijuana reform law goes before voters this November as IR-124. A vote for the measure keeps the reform in place. Voting against IR-124 reverts Montana to old marijuana provisions passed by voters in 2004. Marijuana is still listed as an illegal drug at the federal level.